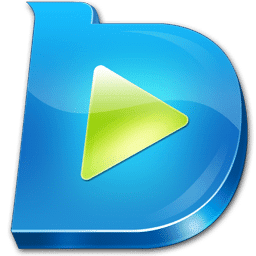 Leawo Blu-ray Player 1.10.0.2 - Leawo Free Blu-ray Player software contains all media playback solutions you need for your leisure entertainment. It acts as free Blu-ray disc player, free DVD disc player, free HD video player (free 4K video player), free ISO file player, and free audio player (free music player). Being a free Blu-ray disc player software app, it plays Blu-ray discs for totally free, and downward compatible with DVD discs playback, no matter they are commercial or regular. It’s the best free software to play Blu-ray on Windows (including Windows Vista, XP, 7, 7, 8, 8.1, and 10). Meanwhile, as free DVD player, it’s not only a free DVD disc player, but also free DVD player to play back DVD folder and DVD ISO image file for totally free. It’s also a free 4K video player to deliver extraordinary image and audio experience via 4K displays. It’s cable of playing 4K video in MKV, MP4 and TS formats, 1080P videos in HD MP4, HD MKV, HD MOV, etc., 720P videos in MP4, AVI, MKV, and other formats, be it camcorder reordered footage, downloaded online video, or streamed video.